Some of the top different motorsports are listed below. They range from cars to monster trucks to motorcycle races. If you’ve never had the chance to attend a motorsport event, it’s different than other sporting events. They tend to be a lot louder, and you never know what could happen when you take your eyes away for just one second. You may be familiar with organizations like Monster Jam and NASCAR, but there are dozens of different organizations and races going on outside of that. With all the different types of race cars alone, the races are endless. Formula 1 is the highest class of single-seater auto racing. Sanctioned by the Fédération Internationale de l’Automobile (FIA) and the Formula One Group. The “formula” in the name refers to the set of rules that all participants’ cars have to obey. The FIA Formula One World Championship has been a premier form of racing around the world since 1950, using a point system to determine the two annual World Champions – one for the driver and one for the constructor. The Formula 1 consists of a series of races known as the Grands Prix. The National Association for Stock Car Auto Racing – is an auto racing sanction and company known for their stock car races. Three of its largest series are the Monster Energy Cup, Xfinity Series, and Camping World Truck Series. Some other well-known series of races include the NASCAR Home Tracks, Whelan Modified Tour, Whelan All-American Series, and iRacing.com. In 1948, the company and association were founded by Bill Frances Sr., whose grandson has been the CEO since 2003. Monster Jam is a live event tour sanctioned under the United States Hot Rod Association (USHRA) and takes place mostly in the United States. While it varies in attractions and entertainment during the show, the main event is usually racing and freestyle competition with monster trucks. Since 1992, they’ve held a competition every year. The Moto GP is actually a class of the Road Racing World Championship Grand Prix. The Grand Prix motorcycle racing is a premier class of motorcycle racing events held on road circuits. The Fédération Internationale de Motocyclisme (FIM) formed in 1949 and coordinated different rules and regulations so racing events could count toward the FIM Road Racing World Championship Grand Prix. The Moto GP holds about 19 Grand Prix across the world. Drag racing is another type of motor racing where cars or motorcycle compete 2 at a time to be the first across the finish line. They race on short, straight courts that are most popularly 1/4 or 1/8 of a mile long. The history of drag racing goes back just as far as car from illegal street racing to the legal drag racing competitions held across the United States. The WRC is a rallying series organized by the Fédération Internationale de l’Automobile (FIA) that has both a champion driver and manufacturer. The driver’s world championship and manufacturer’s championship are separate races, but both have the same point system. The series consists of 13 three-day events driven on surfaces ranging from gravel to even snow and ice. The rallies are split into 15-25 stages that are run against the clock on closed roads. The Indy Racing League, LLC does business as IndyCar. They are an American-based auto racing sanction body for Indy car racing and other open wheel car racing. The organization has four racing series: the premier IndyCar Series – the Indianapolis 500, and the developmental series – Indy Lights, the Pro Mazda Championship, and the U.S. F2000 National Championship (all part of The Road to Indy). They were formed in 1994 and began competition in 1996. The actual sport of open-wheel car racing has roots as early as 1905. Similar to the World Rally cars, it is a form of sprint style automobile racing, which is held on a mixed-surface racing circuit. It is mainly popular in countries like the Netherlands, Belgium, France, and Great Britain. 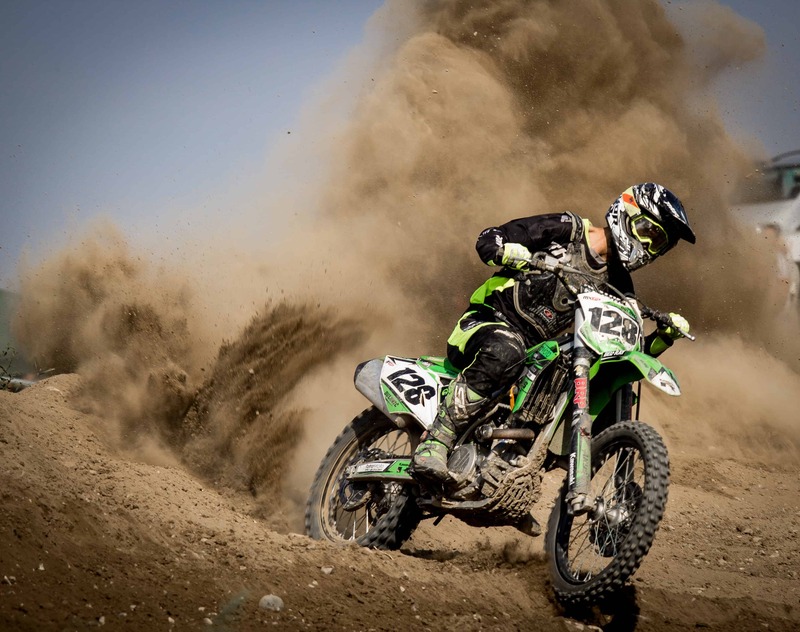 The FIM Grand Prix Motorcross World Championships is the premier of motorcross racing, organized by the Fédération Internationale de Motocyclisme (FIM), inaugurated in 1957. It is currently divided into two distinct classes: MX1 and MX2. The series runs 18 different events with two motocrosses at each round.